Oasis Sailing Club adds new boat to its fleet. NEWPORT BEACH – A new Catalina 34 slowly sailed into the Balboa Yacht Basin to great fanfare, Aug. 8 as members of the Oasis Sailing Club welcomed the newest member of the club’s three-member fleet. Oasis VI, a Catalina 34 MKII was recently purchased by the club to help to increase recreational sailing for its 140 club members. Although the boat is 9 years old, it’s been kept in top notch condition in Los Alamitos. “It’s basically brand new,” Bassett said. 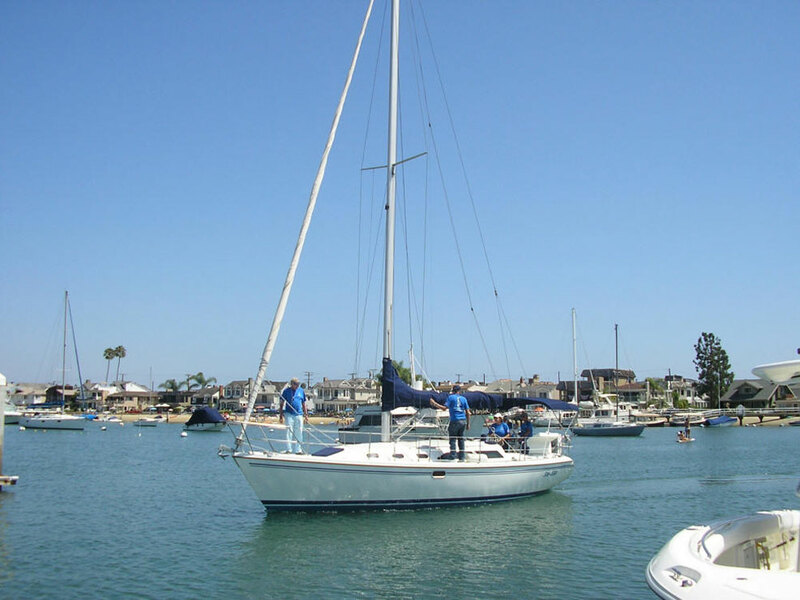 Oasis Sailing Club is one of the organizations within Friends of Oasis, a non-profit organization that supports the Oasis Senior Center in Corona del Mar. Through the center, the club provides sailing opportunities to all seniors in the community for a nominal fee. “This is an amazing organization of active seniors that love sailing and loves to be out on the sea,” Bassett said. The new vessel will be christened later this month; however, members are already signing up for sail days on Oasis VI. Members and their guests can sign up to sail on full- or half-day sails seven days a week. Currently there are three boats in the club’s fleet but one – Oasis IV – will be sold later this year. Oasis VI was purchased using membership dues and monthly dues. The proceeds from the sale of Oasis IV, a 32-foot boat, will help to pay for the new boat, Bassett explained. For more information on Oasis Sailing Club, visit oasissailingclub.org. ← Should Newport Harbor allow jetpacks?